Ögon aluminum wallets were created in France, but Ögon has rapidly grown internationally. 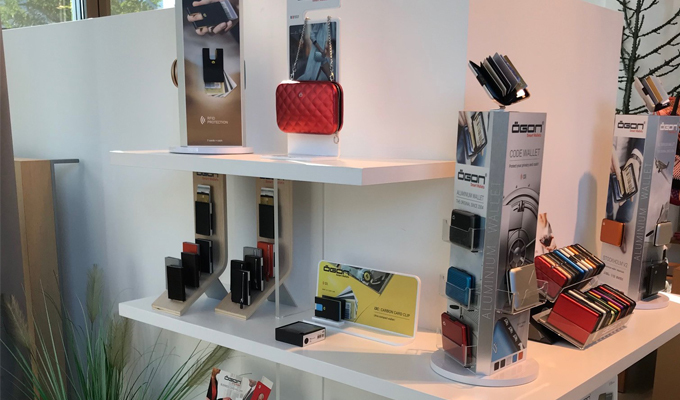 Ögon Smart Wallets are available in world-renowned channels such as FNAC or WH Smith libraries, and we are still working to strengthen our international presence. Ögon can count on a premium distribution network and partners firmly established all around Europe and worldwide. The beginning of the year is marked by many trade fairs that allow us to present Ögon products to retailers around the world. Japan: Tokyo International Gift Show, from 12th-15th February. Germany: Showcase @ International Leather Good Fairin Offenbach, Leather goods, from 16th to 18th February. These dates will be, for us, as many opportunities to present our products as well as our vision of the leather goods industry.